Students explore their own body to find different textures and colours and learn about the molecules that make them up. You are made up of molecules that come in many different shapes, sizes and colors. Explore your body, inside and outside, and find different kinds of molecules that make up you. Some of your molecules are stiff and stack like bricks. They make hard structures like nails. Knock your head to find another hard molecule structure in you. What other hard molecule structures can you find on and in yourself? Some of your molecules are springy. Springy molecules make elastic structures like your skin. Compare how elastic your skin is with other people's: pinch the skin on your knuckle, then see how long it takes to fall back into place. In old people, the molecules are no longer as elastic as they used to be, so the skin takes longer to fall back. What other elastic molecule structures can you find on or in your body? Your blood contains molecules that are red. 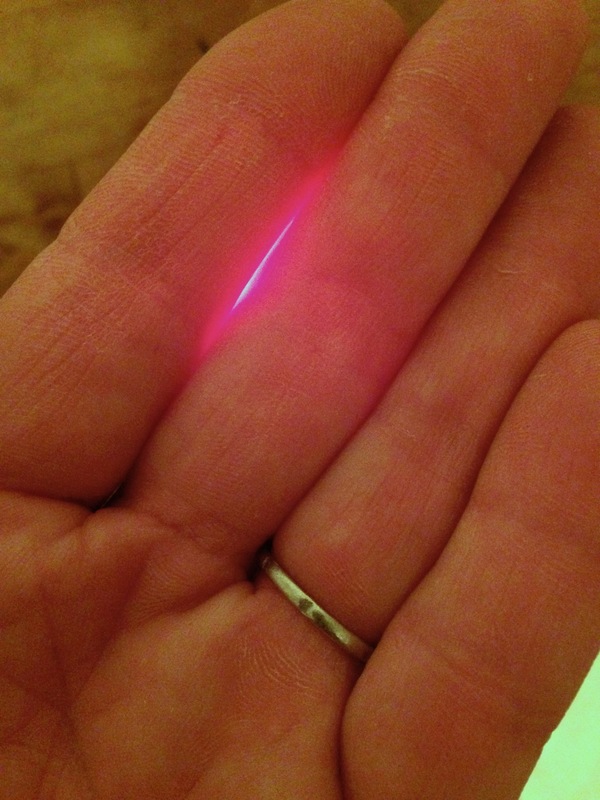 You can see your red molecules by holding your fingers together and covering the end of the flashlight. Now find molecules on or in your body that are white. The mirror will help you find some of them. What about molecules that are brown? Do you have other colored molecules on or in your body? Find molecule structures in you that are slimy and ones that are watery. What other textures and colors can you find on yourself? They are all made of molecules. Your molecules don't just make the textures and colors of your body. Your molecules also let you move, digest food or sing a song. Think of all the things your body can do. It is your molecules that do it! Tested with adults and children of all ages in family groups.